Kuala Lumpur, Malaysia -- Death is certain but the time of death is uncertain. So unless we are familiar with what goes on at the time of death, it can be a very traumatising experience, not only for the dying but their loved ones too, says Dr Goh Pik Pin, head and counsellor of Kasih Hospice Care (KHC). << Dr Goh Pik Pin: ?We teach people how to manage the dying process and how to provide a peaceful and conducive environment for the dying.? "Death need not be as morbid or mysterious as generally perceived. 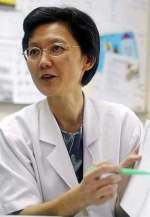 In fact, with the necessary skills, one can manage the dying process so that it can be a peaceful experience," says Dr Goh. "By understanding the consciousness and what goes on at the time of death, one is able to train through contemplation and meditation on what it means to live well and ultimately, die well." Dr Goh deems that just as we need to know how to live well, it is equally important to know how to manage death and its impact on the dying and their loved ones. Dr Goh Pik Pin: 'We teach people how to manage the dying process and how to provide a peaceful and conducive environment for the dying.' This is where KHC, a non-profit organisation founded on the Buddhist principles of love, compassion and skilful means, plays its role. 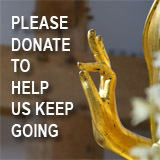 It was formed in 1998 as the community service wing of Losang Dragpa Buddhist Society (LDC) in recognition of the need for hospice care in Malaysia for people with life-threatening illnesses. Since its inception, KHC has trained more than 300 volunteers to offer support for the emotional and spiritual needs of people with life-threatening illnesses, and worked with hospitals to educate the public. "We have conducted several workshops on Death and Dying Well at our LDC centre in Bukit Damansara, Kuala Lumpur. The classes are almost full each time, indicating much interest in this topic. We plan to carry on this work to benefit as many people as possible," says Dr Goh. "In our workshops, we teach people to recognise the eight signs of dissolution of the body and mind, how to manage the dying process and how to provide a peaceful and conducive environment for the dying. It is so important for people to know this." 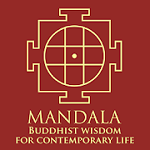 KHC's forthcoming Buddhist Hospice Workshop will delve on the topic, The Power of Mind ? Healing Oneself, Helping Others. This workshop is for anyone interested in helping relatives and friends who are facing death (due to life-threatening illnesses such as cancer). "The course is also useful for those who want to know about dying and be mentally prepared for it because eventually, every one will die, either of old age or sickness," says Dr Goh. The speakers are Lama Zopa Rinpoche, spiritual director of Federation of Preservation of Mahayana Traditions (FPMT), Dr Rosalie Shaw, executive director of Asia Pacific Hospice Network, and Dr Goh Pik Yin, president of the Kasih Hospice Care. The workshop will provide an opportunity for the public to listen to Lama Zopa's teachings on death and dying and healing through Buddhist practices. Participants will also learn about hospice care in general and KHC's services. Someone who is prepared for death will have a better quality of life and live life to the fullest. "The individual will live day by day, do what needs to be done and say what needs to be said," Dr Goh says. "A person who is unprepared is sad, afraid and do not know how to face death. It is a frightening experience to leave loved ones behind and things undone." The Power of Mind ? Healing Oneself, Helping Others workshop will be held on April 17 at Pearl International Hotel, Jalan Klang Lama, Kuala Lumpur, from 10am to 5pm. Cost: RM80 per person. The closing date for registration is April 10. For enquiries, call Dr Goh Pik Pin (013-3402300), Loke Siew Foong (012-3776183) or Wong Koei Onn (012-3775183).